One of Adidas' main partners at the World Cup, Spain's new home kit looks to the past and it is inspired by the nation's 1994 kit. The jersey's main colour is red, naturally, but on the right side there is a colourful yellow, blue and red design that stretches from top to bottom. 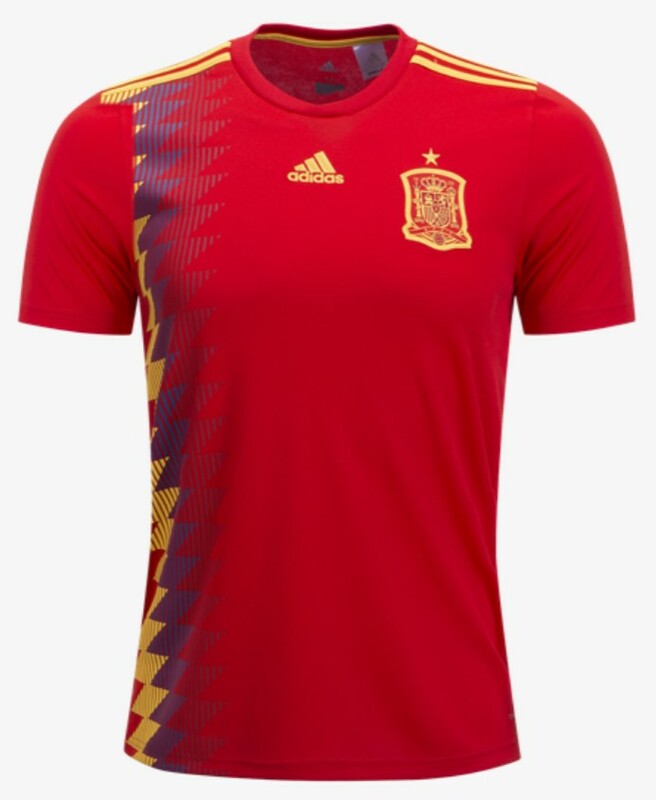 Spain's second shirt is a very light blue release, with geometric designs based on some of the country's best-loved jerseys from the 1980s. There is a hint of bright red in the kit, particularly on the shoulders in Adidas' trademark triple stripe design.